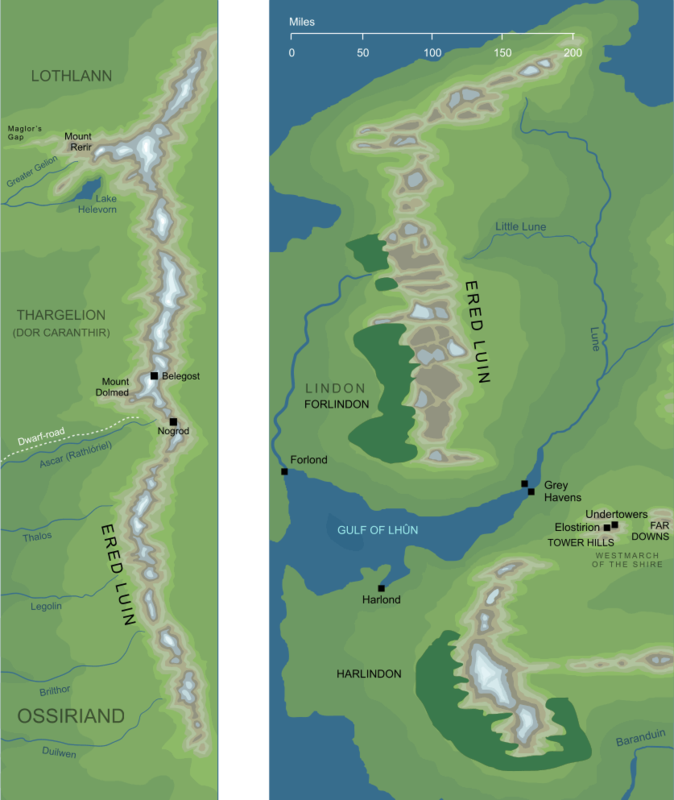 The map on the left shows Ered Luin, the Blue Mountains, during the First Age, before the cataclysm that brought that Age to its end. The map on the right shows the later geography of the mountains, specifically in the early years of the Fourth Age. "...and they climbed the heights of Ered Luin and looked eastward in wonder, for wild and wide it seemed to them were the lands of Middle-earth." The Elves' name for the Blue Mountains, the broken range that separated Lindon in the west from Eriador in the east.